So the issue is that the reverb is pretty much none existent. on a scale of 1-10 id say it's 0.5 on full. To even get a hint of reverb (and i do mean a hint) the master has to be set on full, and then dial the gain up to the desired volume, this is with either high or low gain input. With the gain set higher and master dialled in lower the reverb is 100% zero. This is of course with reverb turned up full. Either way I have no reverb. The pan is working as far as I can tell, If i give the pan a tap i can hear the reverb springs, so it is at least getting the signal. The amp still has the original valves from the day is was bought, as i was told from the seller, so they're at least 15 years old. I plan on replacing the valves anyway, but could the valves be responsible for the low reverb? Or is this just how the AD30r works? Just realised this should have been posted in Technical, feel free to move it there, sorry about that. If you’re planning on new tubes, which isn’t a bad idea after 15 years, I’d try that first. If the reverb driver tube is no good it can’t amplify the signal. I have tried the AD30r once, and I thought the reverb was very underwhelming too. I had to max it out to get just a touch of it - that reverb circuit isn't great. Ok thanks for the replies, Ill get it re-tubed and see how I go. I got the amp for £400 and iv seen them go for double that, so I don't mind spending i little more on it. 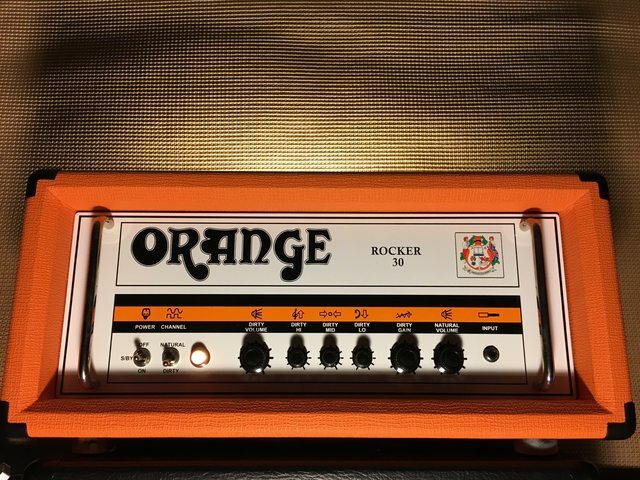 It's a great amp to be honest, reverb or not. The voicing of the single channel is the same as the channel 1 of the AD30tc or the AD15 and is seriously sweet. And punchy with the gain set higher than clean. For the power valve, I'd recommend you to try some Russian NOS 6P14P EV. They cost about the same as new JJ EL84, but sound fantastic. Really great valves. Their highs, rounded lows make a mockery of modern valves and they are still very cheap. Just opened it up and noticed something odd, one of the tubes does not match up. What should be in the ECC81 is actually a E83CC could this be the culprit? They're Genuine Orange tubes by the way, I will look in to the Russian ones though, thanks. The ECC81 has a E83CC in it. From what I know E83CC are military grade ECC83. We usually find ECC81 in reverb, tremolo and fx loop slots as they are driver valves. Technically, they are lower gain than ECC83, but they can accept greater currents. I would replace it by a correct ECC81, but again, don't expect marvels. I wonder if someone replaced it with an 83 hoping the greater gain would increase the reverb level. On another note.... one of the advantage of the AD30r and being single channel compared to the AD30tc, is that the AD30tc has a phase inverter vakve per channel, meaning that adding an FX loop is near impossible, or more technically demanding. Your AD30r already has an FX loop of sort.... with the reverb. You could always get it modded to bypass the reverb and have an FX loop instead. The reverb circuit already has the send and return points.